There’s a lot of attention on the global race to 5G, and for good reason. If we can lead the world in deploying a nationwide 5G network, it is expected to generate $500 billion in economic growth and up to 3 million new jobs in the U.S. alone.1 The country that leads in 5G will be a global hub for innovation and investment, benefitting from a massive wave of growth in new technologies and services across all industries. 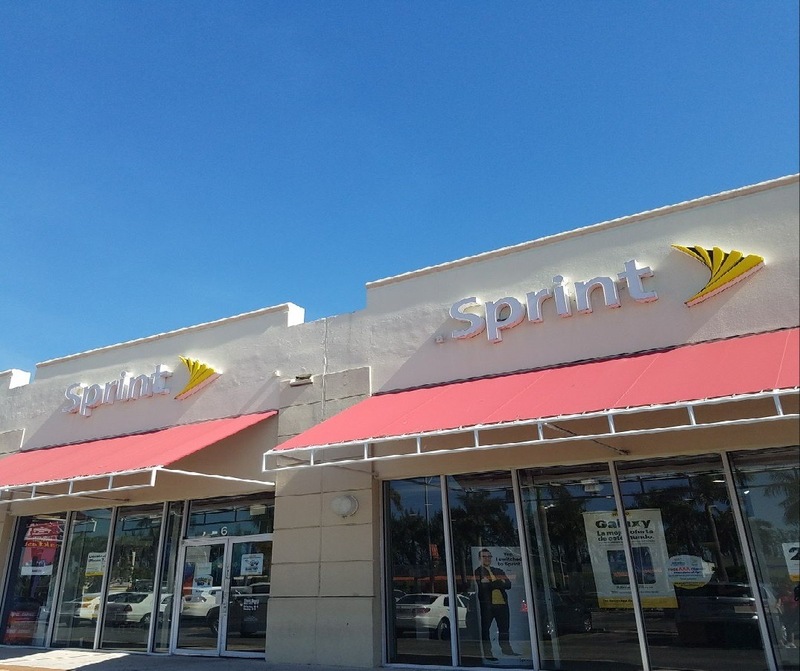 The proposed merger between T-Mobile and Sprint is vital to accelerating the deployment of a true nationwide mobile 5G network and allowing the U.S. to take a leadership position in 5G. The proposed merger can create a wireless company with the spectrum assets, scale, and financial wherewithal to propel the U.S. into a leading position worldwide. In turn, this new company will spur AT&T and Verizon to invest more in 5G, creating a highly robust and competitive 5G market. U.S. Lacks Abundant Fresh Spectrum for 5G: No U.S. carrier today has sufficient access to all three layers of spectrum (low, mid and high-band) needed for a true, nationwide mobile 5G network. But in China, the government can award spectrum to carriers as needed across all bands, and has proactively done so. 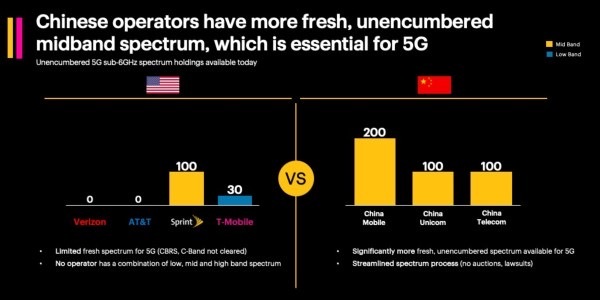 Mid-band spectrum in particular plays an essential role in providing capacity over a robust 5G footprint, and China’s operators have large amounts of unencumbered 2.6 GHz, 3.5 GHz and 4.5 GHz spectrum for 5G. 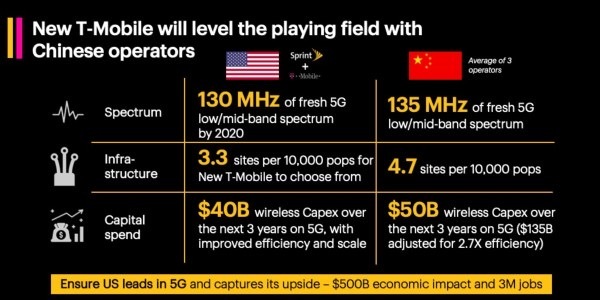 Combining the complementary low, mid and high-band spectrum assets of Sprint and T-Mobile will give the U.S. a carrier equipped with the three layers of spectrum needed to rapidly deploy a broad and deep nationwide mobile 5G network. U.S. Lacks Infrastructure & Site Density: Today China Tower, the nationalized tower company which owns 96% of cell sites in China, has approximately 1.9 million sites. 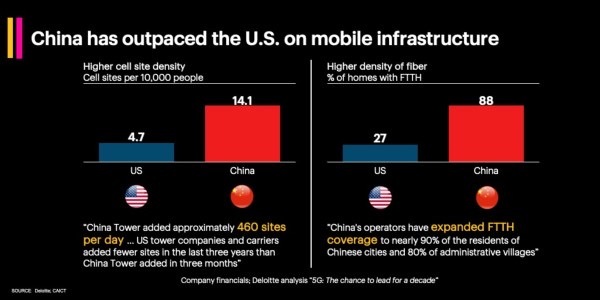 On the other hand, all of the wireless network operators and tower companies in the U.S. have only about 200,000 cell sites combined.3 China has been densifying its network at an unprecedented rate, with 350,000 new cell sites on air in the past three years, compared to less than 30,000 built in the U.S.
By combining network resources, Sprint and T-Mobile have a rare opportunity to rapidly launch a denser 5G network comprised of existing small cells and macro sites spanning the U.S.
With the merger of Sprint and T-Mobile, the new company plans to invest nearly $40 billion to combine complementary spectrum, cell sites and assets to deliver a nationwide 5G network sooner than otherwise possible. In turn, this investment will spur AT&T and Verizon to invest more in 5G and create a more robust, competitive 5G market. U.S. carriers are good at marketing and eager to tout their 5G progress. Verizon and AT&T have even launched commercial 5G services, but take a closer look and you’ll see these deployments are extremely limited in geographic scope. As largely fixed point-to-point transmissions, these networks do not offer true mobility, nor do they have the capability to do so near-term. Verizon, relying solely on millimeter wave spectrum, is essentially creating hot spots in big cities, and it halted its 5G Home deployment which uses a proprietary standard. 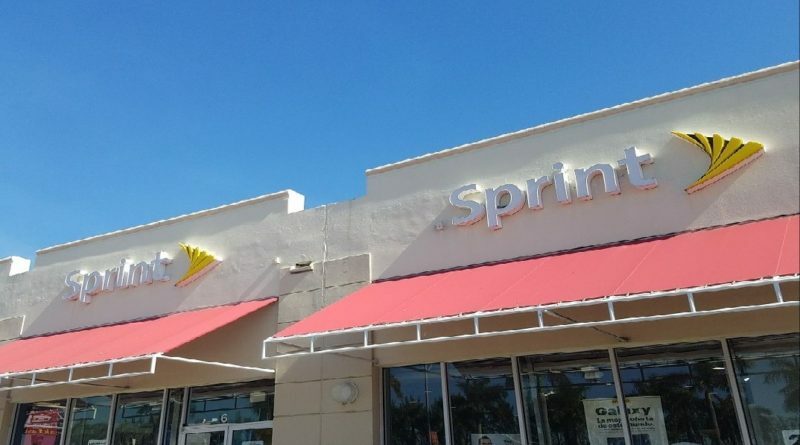 Meanwhile, AT&T is rolling out fake 5G by renaming its LTE Advanced network 5G E.
At Sprint, we’re proud of our upcoming launch of mobile 5G in the metro areas of nine cities this year, but we’ve made it clear that a merger with T-Mobile is the only path to quickly build a broad and deep nationwide 5G network. The stakes are high and the race to 5G will determine where the next Google, Apple, Amazon and Uber of the world is created – here in the U.S. or abroad. Now is the time to face facts. U.S. wireless carriers simply do not have the spectrum resources, cell site density, or capital investment to lead the world in 5G. The merger of T-Mobile and Sprint will allow the U.S. to rapidly lead with a world-class nationwide 5G network that has the breadth and depth needed to fuel innovation and competition on a global stage. 3 Includes largest US tower providers, which provide an estimated 65–75 percent of the total sites in the United States, according to the CTIA, which estimates 154,000 towers in the United States. “The Wireless Industry: Industry Data,” CTIA, 2018, https://www.ctia.org/the-wireless-industry/infographics-library. 6 HSBC Global Research, Global TMT Globe-trotting: 5G Signals, at 9 (Mar. 25, 2019).